We heart all things tattoos, so we were surprised when we came across a shop that does exclusively vegan tattoos, because we were like, wait, aren’t all tattoos vegan already? But no, they’re not! It turns out that not all tattoos are vegan. According to PETA, tattoo ink isn’t vegan when it contains things like glycerin. 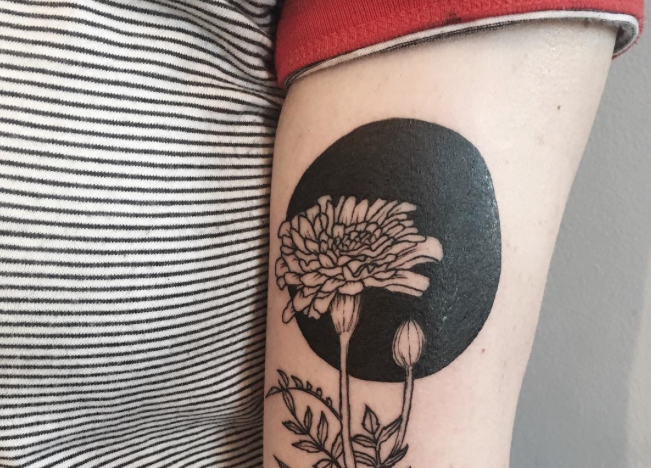 So if you’re all about being 100% vegan, you might want to check out an artist like Anna Sica of Arrowhead Tattoo, a vegan tattoo shop filled with absolutely gorgeous, nature-themed tattoos. According to the shop’s website, Arrowhead Tattoo is owned and operated by Anna Sica, a travelling tattoo artist specializing in fine linework and detail as well as permanent cosmetics. How lovely does that sound?! But it doesn’t just sound lovely. It is! Sica creates some extremely gorgeous works of art, and we’re so here for it. Just look at these beautiful tattoos! If this is what a vegan tattoo is, we’ll take a dozen! We’d feel like true art walking around with this ~glorious~ body art all over. We have nothing but heart eyes for these vegan tattoos. Our minds are seriously blown right now. Every one is so unique, and so absolutely phenomenal. We can tell so much work and effort went into creating these masterpieces, and we’re cheering. Definitely taking notes for our next tattoos!